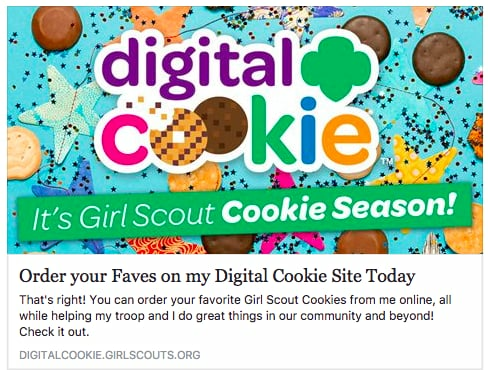 The Rockwellian imagery of an entrepreneurial young girl going door to door selling highly addictive Thin Mint Girl Scout Cookies that we don't need (but LOVE) is finally no more. Much like your favorite beauty brands, Girl Scout Cookies has gone social. What's happening? The transposition from analog to digital in our daily lives has finally reached a tipping point wherein analog is quickly becoming a minority experience. Think about this: Generation Alpha (born between 2010-2025) girls everywhere will grow up with digital as their everything. If Gen Xer's are the generation that bridged the gap between analog and digital, and Millennials and Gen Z'ers are the digital-first generation, Generation Alpha will be the "Digital-everywhere Generation." The Digital Everywhere Generation will grow up not knowing what its like to partake in even the most mundane daily activities. They will control the majority of their lives from their mobile devices. They probably won't even learn how to drive! Why should you care? Beyond having a frictionless Girl Scout Cookie buying experience, the cost of entry for brands to directly engage with consumers is quickly marching to zero. This means that the rate at which new, independent startups will invade EVERY industry will grow exponentially. By extension, that means disruption (and not Girl Scouts) will be knocking at your door. Will you be ready?